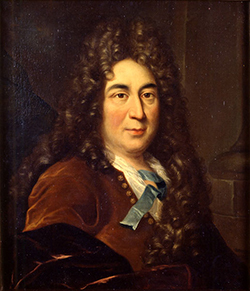 Painting of Charles Perrault, artist unknown, 17th century. Charles Perrault was an author who helped bring about the popularity of the fairy tale by writing down folk tales. He wrote several books and was an advisor for Louis XI, but it’s his contribution to fairy tales that make him a significant literary figure. With his book, The Tales of Mother Goose, author Charles Perrault immortalized some of the most beloved fairy tales of all time, including such stories as Sleeping Beauty and Puss in Boots. Perrault actually wrote down the fairy tales that would capture the imagination of the world when he was near 70. He died five years later, but left a big legacy. Other folklorists, such as The Brothers Grimm, would retell the same stories around Europe, however, it’s Perrault the French folklorist we have to thank for the ones included in this volume. The Tales of Mother Goose was published in 1697, and was originally known as Tales and Stories of the Past with Morals (Histoires ou Contes du Temps passé). Although we know may know “Mother Goose” as a figure associated with nursery rhymes, the Mother Goose of today came after Perrault’s work.